Blooming Lily--Where Style is Always Blooming: Moxie! 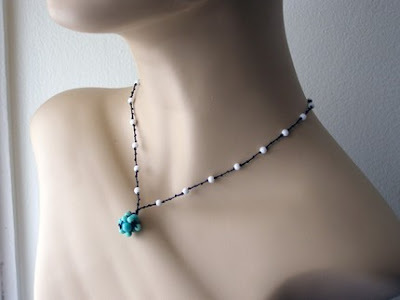 I have long been a fan of the jewelry of Moxie Designs. 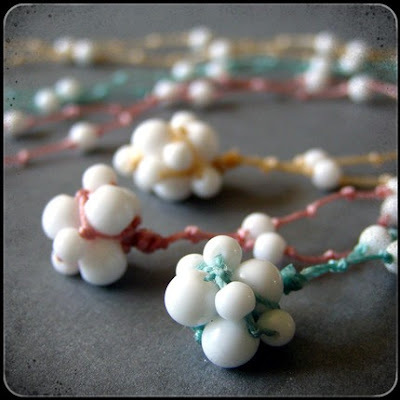 Beautiful, colorful pieces using glass, stone and macrame knotting! 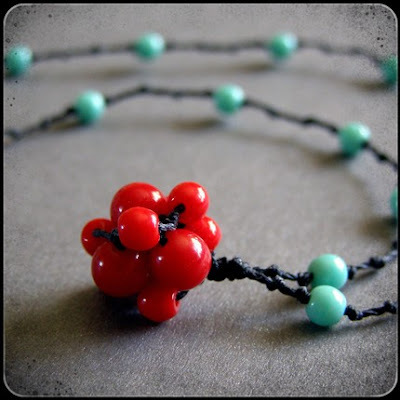 My favorites are the Pod necklaces...funky and organic, the glass beads are knotted onto various fun colors of nylon cord into little pods balls. How fun to wear! At only $28, it is an easy, affordable way to add some color and originality to your accessory wardrobe! oh, wow. these are adorable—i especially love the second!